The Caspian Sea is the largest enclosed inland body of water on Earth by area, variously classed as the world's largest lake or a full fledged sea. It is in an endorheic basin located between Europe and Asia. It is bounded to the northeast by Kazakhstan, to the northwest by Russia, to the west by Azerbaijan, to the south by Iran, and to the southeast by Turkmenistan. The Caspian Sea lies to the east of the Caucasus Mountains and to the west of the vast steppe of Central Asia. Its northern part, the Caspian Depression, is one of the lowest points on Earth. The ancient inhabitants of its coast perceived the Caspian Sea as an ocean, probably because of its saltiness and large size. The sea has a surface area of 371,000 km2 (143,200 sq mi) (not including its detached lagoon of Garabogazköl Aylagy) and a volume of 78,200 km3 (18,800 cu mi). 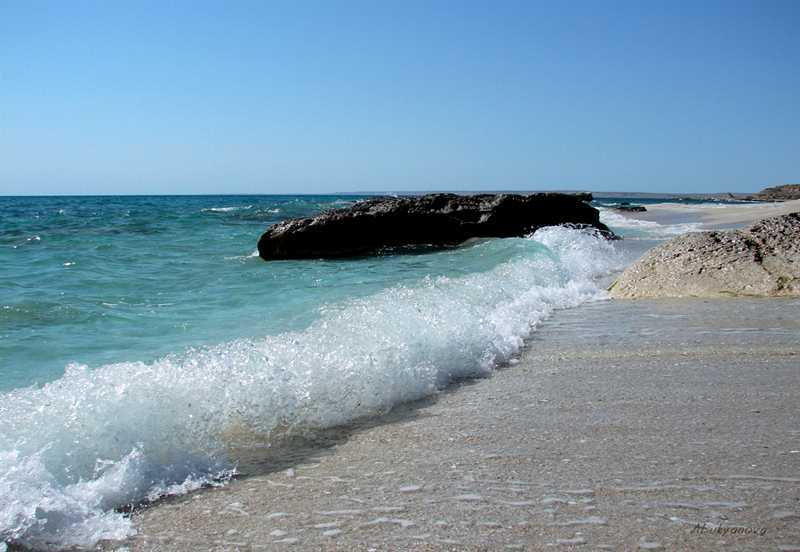 It has a salinity of approximately 1.2% (12 g/l), about a third of the salinity of most seawater. The Lake Superior is the largest of the Great Lakes of North America. The lake is shared by the province of Ontario to the north in Canada, the states of Minnesota to the west, Wisconsin and Michigan to the south in the United States. It is generally considered the largest freshwater lake in the world by surface area. It is the world's third-largest freshwater lake by volume and the largest by volume in North America. 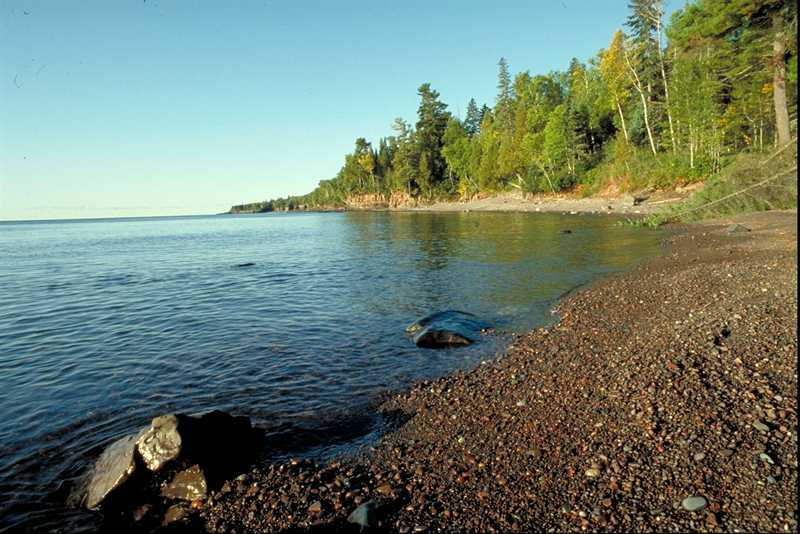 The rocks of Lake Superior's northern shore date back to the early history of the earth. During the Precambrian (between 4.5 billion and 540 million years ago) magma forcing its way to the surface created the intrusive granites of the Canadian Shield. Lake Superior has a surface area of 31,700 square miles (82,103 km2). It has a maximum length of 350 statute miles (560 km; 300 nmi) and maximum breadth of 160 statute miles (257 km; 139 nmi). Its average depth is 80.5 fathoms (483 ft; 147 m) with a maximum depth of 222.17 fathoms (1,333 ft; 406 m). The Lake Victoria is one of the African Great Lakes. The lake was named after Queen Victoria by the explorer John Hanning Speke, the first Briton to document it. Speke accomplished this in 1858, while on an expedition with Richard Francis Burton to locate the source of the Nile River. With a surface area of 68,800 km2 (26,600 sq mi), Lake Victoria is Africa's largest lake by area and the largest tropical lake in the world. Lake Victoria is the world's second largest fresh water lake by surface area, after Lake Superior in North America. In terms of volume, Lake Victoria is the world's ninth largest continental lake, containing about 2,750 cubic kilometres (2.23×109 acre·ft) of water. Lake Victoria occupies a shallow depression in Africa and has a maximum depth of 84 m (276 ft) and an average depth of 40 m (130 ft). Its catchment area covers 184,000 km2 (71,000 sq mi). The lake has a shoreline of 4,828 km (3,000 mi), with islands constituting 3.7 percent of this length. 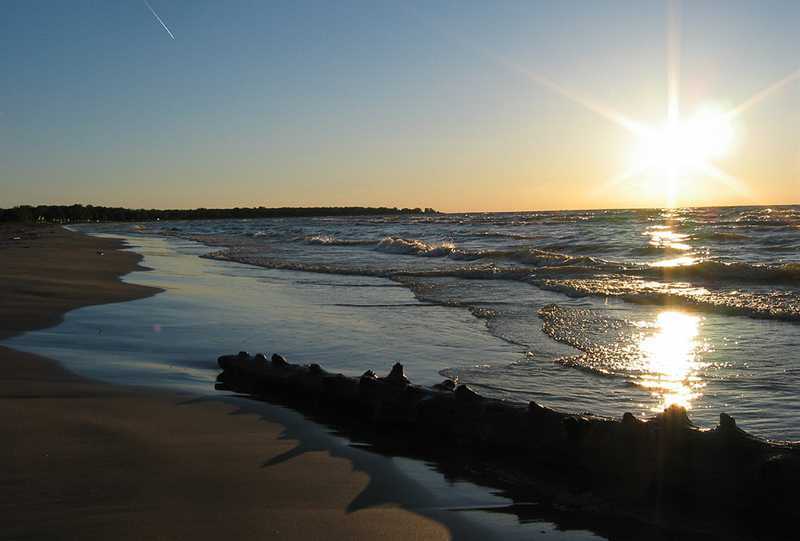 The Lake Huron is one of the five Great Lakes of North America. It is shared on the east by the Canadian province of Ontario and on the west by the state of Michigan in the United States. The northern parts of the lake include the North Channel and Georgian Bay. The main inlet is the St. Marys River and the main outlet is the St. Clair. 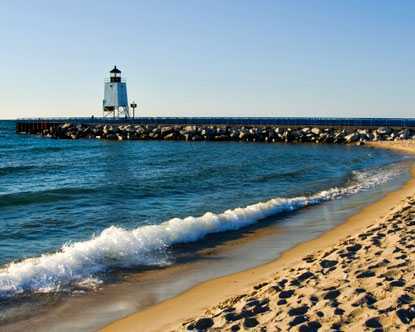 By surface area, Lake Huron is the second-largest of the Great Lakes, with a surface area of 23,000 square miles (59,600 km2) making it the third-largest fresh water lake on Earth (and the fourth-largest lake, if the Caspian Sea is counted as a lake). By volume however, Lake Huron is only the third largest of the Great Lakes, being surpassed by Lake Michigan and Lake Superior. The surface of Lake Huron is 577 feet (176 m) above sea level. The lake's average depth is 32 fathoms 3 feet (195 ft; 59 m), while the maximum depth is 125 fathoms (750 ft; 229 m). It has a length of 206 statute miles (332 km; 179 nmi) and a greatest breadth of 183 statute miles (295 km; 159 nmi). The Lake Tanganyika is an African Great Lake. It is estimated to be the second largest freshwater lake in the world by volume, and the second deepest. The lake is divided among four countries – Tanzania, Democratic Republic of the Congo, Burundi, and Zambia, with Tanzania (46%) and DRC (40%) possessing the majority of the lake. The water flows into the Congo River system and ultimately into the Atlantic Ocean. It is the largest rift lake in Africa and the second largest lake by volume in the world. It is the deepest lake in Africa and holds the greatest volume of fresh water, accounting for 18% of the world's available fresh water. It extends for 676 km (420 mi) in a general north-south direction and averages 50 km (31 mi) in width. The lake covers 32,900 km2 (12,700 sq mi), with a shoreline of 1,828 km (1,136 mi), a mean depth of 570 m (1,870 ft) and a maximum depth of 1,470 m (4,820 ft) (in the northern basin). It holds an estimated 18,900 cubic kilometres (4,500 cu mi). This is equivalent to about 16% of all fresh water on Earth. It has an average surface temperature of 25 °C (77 °F). The Lake Baikal is a rift lake in Russia, located in southern Siberia, between Irkutsk Oblast to the northwest and the Buryat Republic to the southeast. Lake Baikal is the largest freshwater lake by volume in the world, containing roughly 20% of the world's unfrozen surface fresh water.With a maximum depth of 1,642 m (5,387 ft), Baikal is the world's deepest lake. 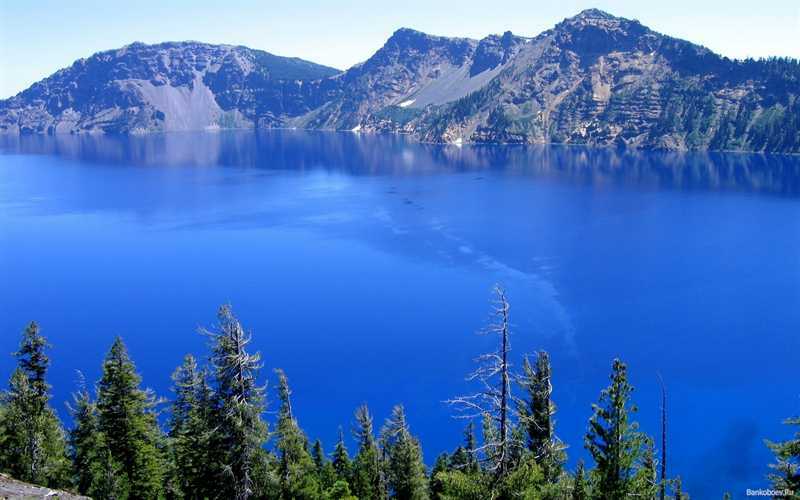 It is considered among the world's clearest lakes and is considered the world's oldest lake at 25 million years. It is the seventh-largest lake in the world by surface area. With 23,615.39 km3 (5,700 cu mi) of fresh water, it contains more water than all the North American Great Lakes combined. Like Lake Tanganyika, Lake Baikal was formed as an ancient rift valley, having the typical long crescent shape with a surface area of 31,722 km2 (12,248 sq mi). Baikal is home to thousands of species of plants and animals, many of which exist nowhere else in the world. The lake was declared a UNESCO World Heritage Site in 1996. 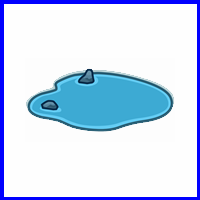 The mean temperature varies from a winter minimum of −19 °C (−2 °F) to a summer maximum of 14 °C (57 °F). The Great Bear Lake is the largest lake entirely in Canada (Lake Superior and Lake Huron straddling the Canada-US border are larger), the fourth largest in North America, and the eighth largest in the world. 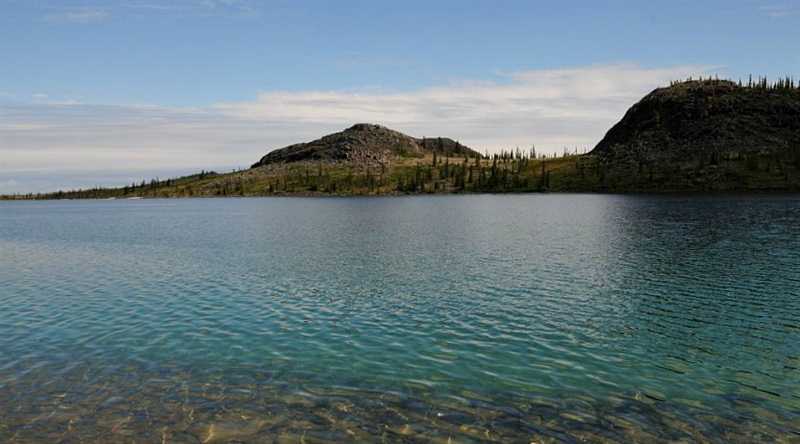 The lake is in the Northwest Territories, on the Arctic Circle between 65 and 67 degrees of northern latitude and between 118 and 123 degrees western longitude, 156 m (512 ft) above sea level. The lake has a surface area of 31,153 km2 (12,028 sq mi) and a volume of 2,236 km3 (536 cu mi). Its maximum depth is 446 m (1,463 ft) and average depth 71.7 m (235 ft). The shoreline is 2,719 km (1,690 mi) and the catchment area of the lake is 114,717 km2 (44,292 sq mi). Great Bear Lake is covered with ice from late November to July. 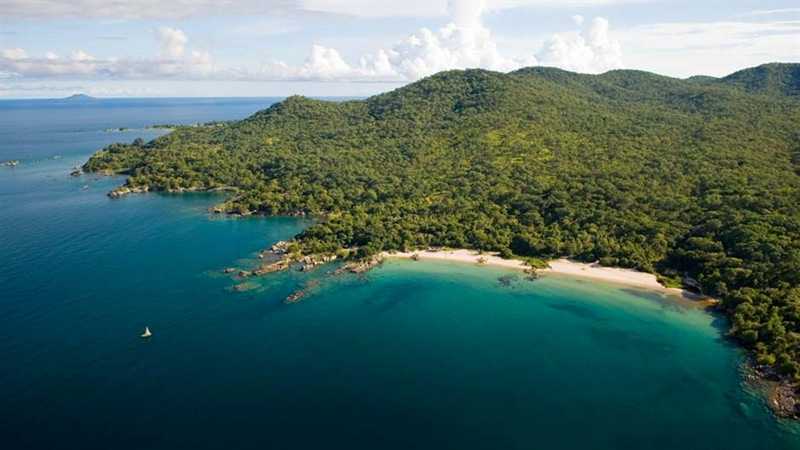 The Lake Malawi also known as Lake Nyasa in Tanzania and Lago Niassa in Mozambique, is an African Great Lake and the southernmost lake in the East African Rift system, located between Malawi, Mozambique and Tanzania. It is the ninth largest lake in the world and the third largest and second deepest lake in Africa. It is home to more species of fish than any other lake, including about 1000 species of cichlids. 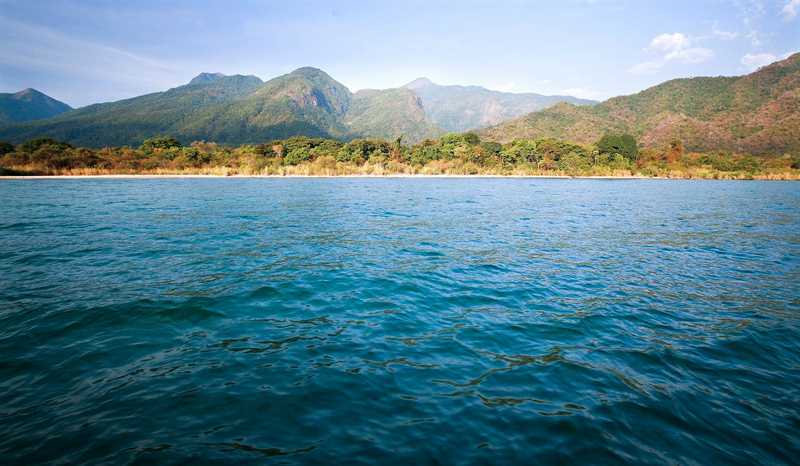 The Mozambique portion of the lake was officially declared a reserve by the Government of Mozambique on June 10, 2011, and in Malawi a portion of the lake is included in the Lake Malawi National Park.Lake Malawi is a meromictic lake. Lake Malawi is between 560 kilometres (350 mi) and 580 kilometres (360 mi) long, and about 75 kilometres (47 mi) wide at its widest point. 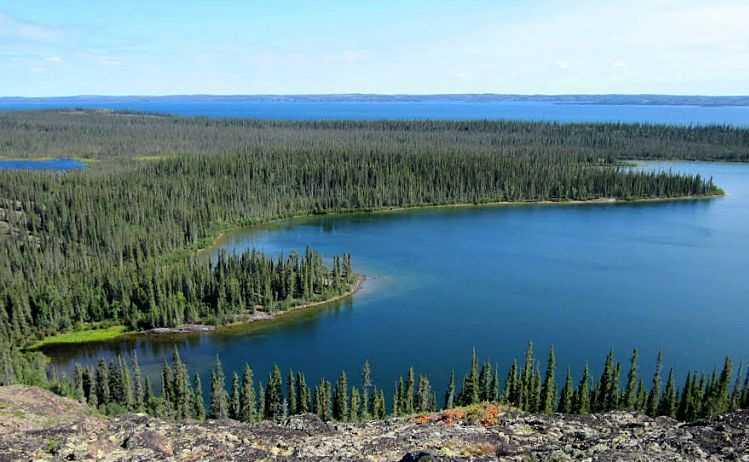 The Great Slave Lake is the second-largest lake in the Northwest Territories of Canada (after Great Bear Lake), the deepest lake in North America at 614 metres (336 fathoms; 2,014 ft), and the tenth-largest lake in the world. It is 469 km (291 mi) long and 20 to 203 km (12 to 126 mi) wide. It covers an area of 27,200 km2 (10,502 sq mi) in the southern part of the territory. Its given volume ranges from 1,070 km3 (260 cu mi) to 1,580 km3 (380 cu mi) and up to 2,088 km3 (501 cu mi) making it the 10th or 12th largest. Archaeological evidence has revealed several different periods of cultural history, including: Northern Plano Palaeoindian tradition (8,000 years before present), Shield Archaic (6,500 years), Arctic Small Tool Tradition (3,500 years), and the Taltheilei Shale Tradition (2,500 years before present).